A group of Vietnamese bloggers today met with the Second Secretary of the Australian Embassy in Vietnam to hand Statement 258. The bloggers included Trinh Anh Tuan, Dao Trang Loan, Nguyen Hoang Vi, Nguyen Chi Duc, and Nguyen Dinh Ha. All are signers of Statement 258, which urges the Vietnamese Government to fulfill its responsibilities in promoting and protecting human rights so as to demonstrate thesuitability of its candidacy for the United Nations Human Rights Council. Among the participants was Nguyen Hoang Vi, a female blogger from Saigon, who was an active participant of the “human rights picnic” on May 5, where she tried to distribute copies of the Universal Declaration of Human Rights despite police obstruction. During the meeting, the bloggers discussed human rights issues in Vietnam, especially restrictions of the right to expression. They also reported on recent crackdowns, including the successive arrests and illegal physical abuse of bloggers, a night raid against a students’ learning group, and most recently, the detention and subsequent “disappearance” of blogger Nguyen Van Dung (aka. AdukuAdk). 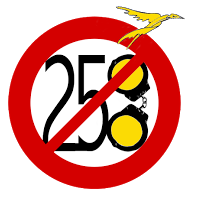 The bloggers also discussed Statement 258’s demands and the previous meetings between Vietnamese bloggers and international organizations such as the United NationsHigh Commissioner for Human Rights, Committee to Protect Journalists, International Commission of Jurists, etc. Mr. David Skowronski, Second Secretary of the Australian Embassy, asked about the difficulties that the bloggers confronted including allegations of harassment and repression, and how the Vietnamese state authorities have responded to Statement 258. The bloggers said they much appreciate contributions of the Australian Government and Embassy to the development and improvement of human rights in Vietnam. They expressed their wish that Australia pays more attention to Hanoi’s human rights issues. The meeting today is the third between the Network of Vietnamese Bloggers and embassies in Vietnam. Previously, they had visited the United States Embassy and the Swedish Embassy.